Niles| Wildwood Elementary School students gave teachers an A-plus on their fundraising efforts to support the School’s student enrichment programs. 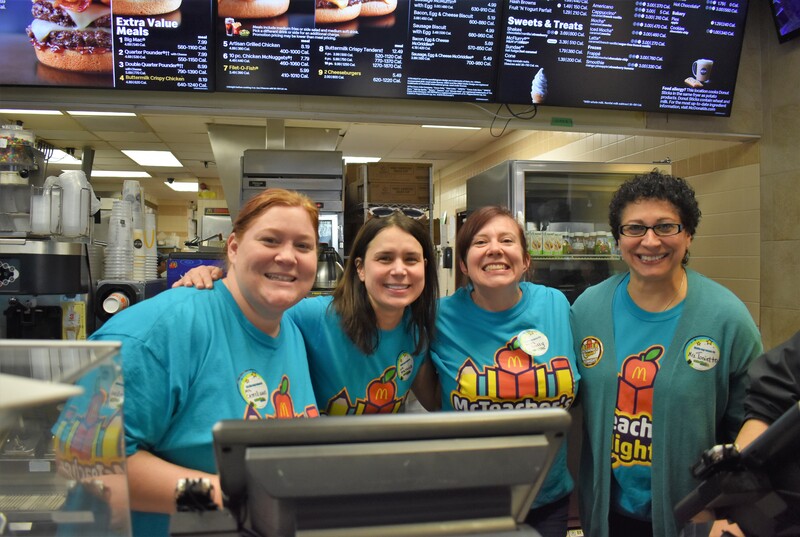 Teachers from Wildwood in Chicago Public School District volunteered behind the counter on Tuesday, March 26th at the McDonald’s located on Milwaukee Avenue in Niles. 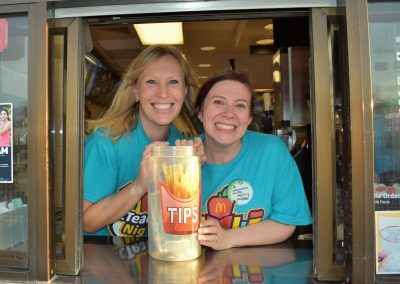 The teachers worked hard to serve students and their families in a fundraiser for school. 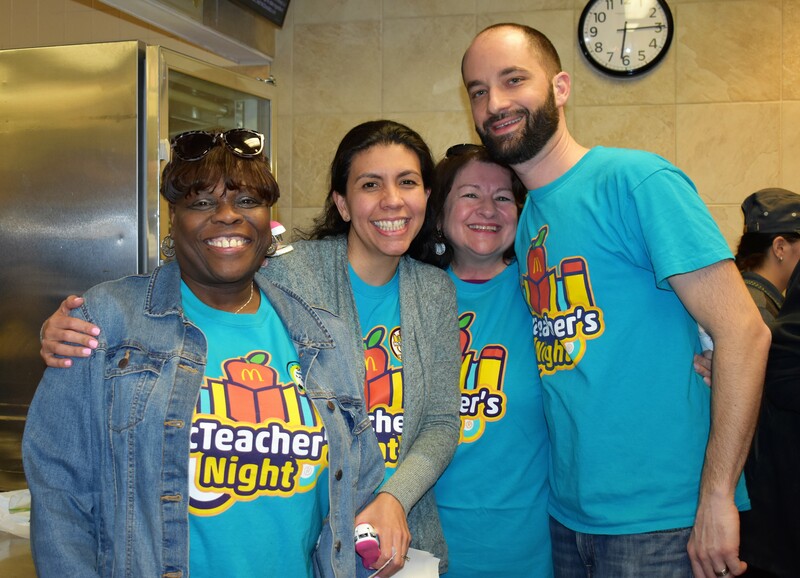 Several teachers showed up to volunteer and work during this event. 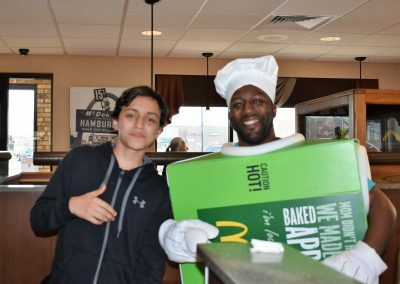 TeachersGivens and Daresh wore the Pie Costume and enjoyed taking pictures with many of the Wildwood Students. 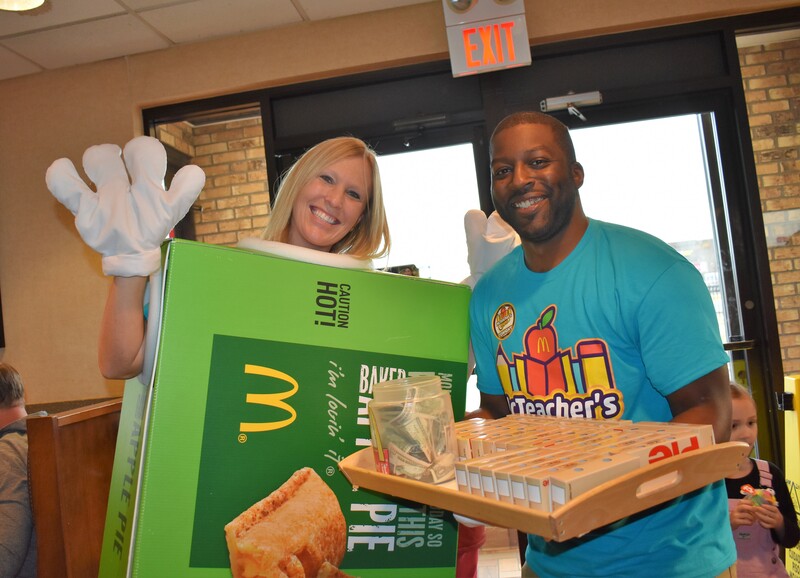 The proceeds from the sales of 240 pies went directly to benefit the schools friends of wildwood organization as well as Twenty percent of the proceeds from the McTeacher’s Night sales. The friends of wildwood organization funds the students enrichment programs. 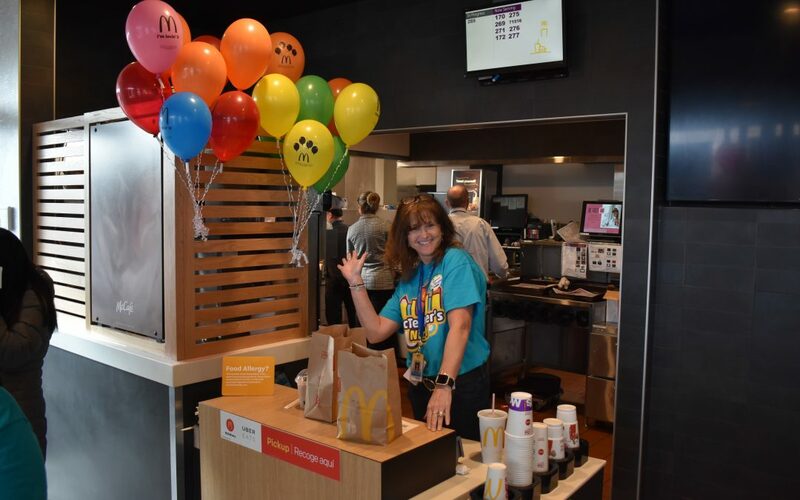 David Bear, Owner-Operator of the Niles McDonald’s, was delighted to participate in the worthy cause for education and the community. 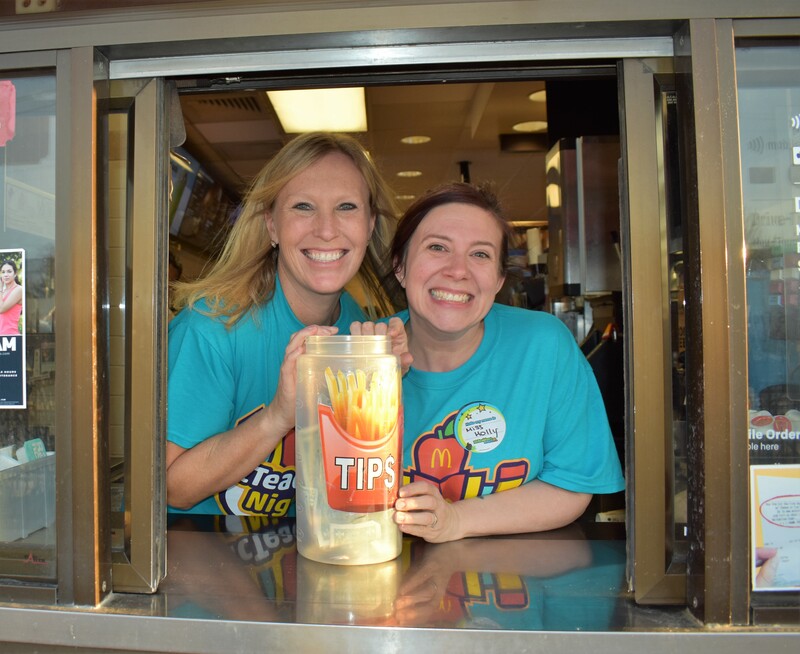 “McTeacher’s Night is part of McDonald’s larger commitment to education and other important initiatives supporting families and the local community,”Bear said. 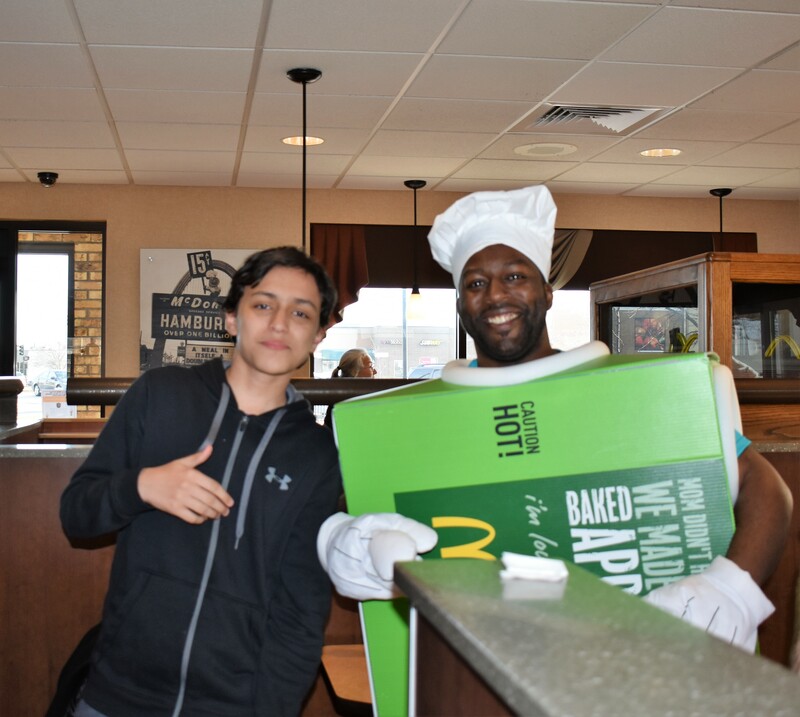 Bear donated a case of apple pies to the school for sale at the event. 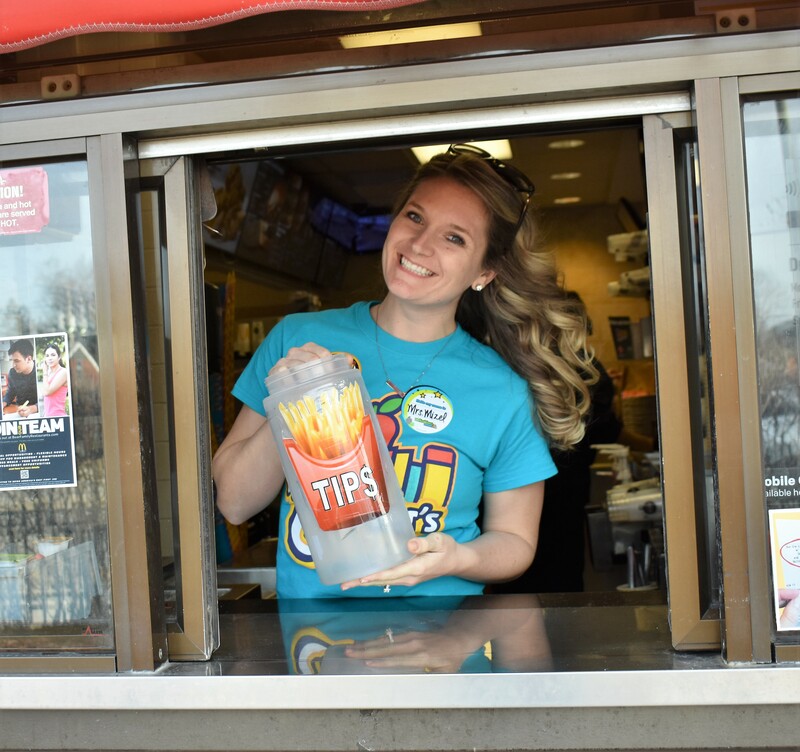 Inspired by the success of McTeacher’s Night,Bear has his sights on partnering with other schools in the Niles area. 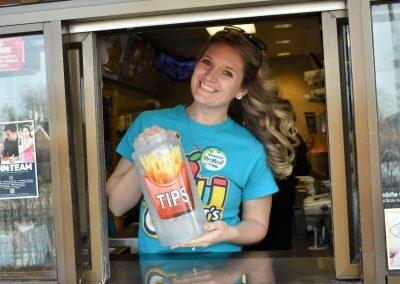 “The teachers who rolled up their sleeves in support of this event are the fabrics that strengthen our community,” Bear said. 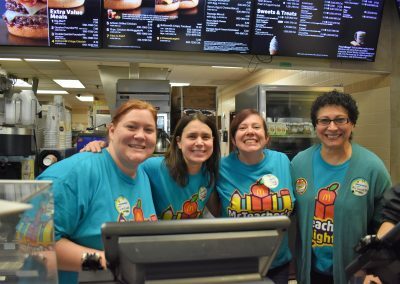 The Wildwood McTeacher’s Night was courtesy of the Bear Family Restaurantsand McDonald’s Owner-Operator, David Bear. Like us on Facebook and visit ourBear Website.